This is not the genre/type of movie I normally watch, but I enjoyed it. 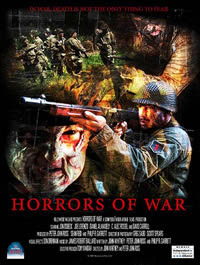 I kept having "Thriller" music video flashbacks during the scene where the werewolf was chasing the soldiers through the woods....Very well done low budget film. Great performances and monster special effects. Glad you're enjoying the movies thus far. I hope the streak continues with #8!